I love making cakes as a hobby for family & friends. I usually make a few cakes per year for their birthdays. 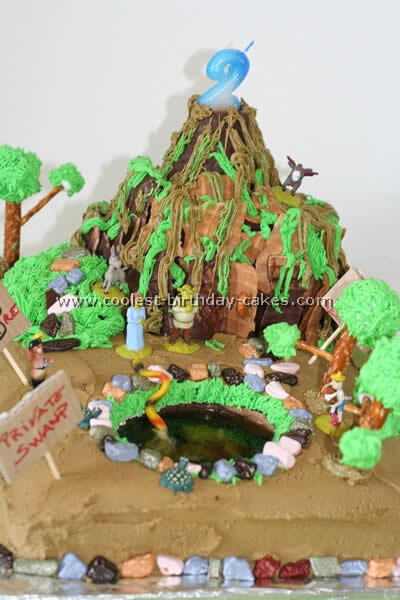 My 4 year old niece originally asked for a Barbie style cake, which sounded like a nice, girly fun thing to do. Then, she changed her mind…. and wanted TROLLS. I knew nothing about the new Trolls movie so decided I’d best watch it. I fell in love!! The movie colors are also so much fun! I bought some cake topper toys because she much prefers a cake she can play with versus fondant figures which, although cute, end up in the garbage after HOURS spent making them. I made a vanilla 10″ bottom single layer, and two chocolate 6″ top layers. I offset the top tier so that there would be more decorating room for the figures and colors. I used 6 basic Americolor gels from Hobby Lobby: neon pink, neon orange, neon yellow, neon green, neon blue and neon purple. 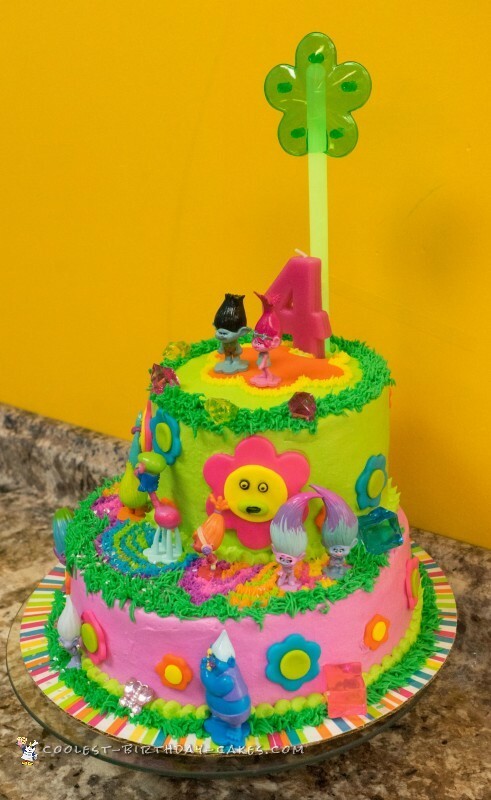 To make the grass color different toned from the cake’s green, I added a few drops of neon blue to the neon green, which added depth to the color. I used various flower shaped fondant cutters to make different shaped flowers like they had in the movie. On the top of the bottom tier I used tiny star tips to make a colorful mosaic “walkway” like the end scene of the movie. The cake topper set also came with some jewels which I placed throughout, along with a few other butterfly shaped jewels I had found while out shopping for this cake. I sprinkled heart shaped silver glitter from Wilton, since Trolls love glitter. 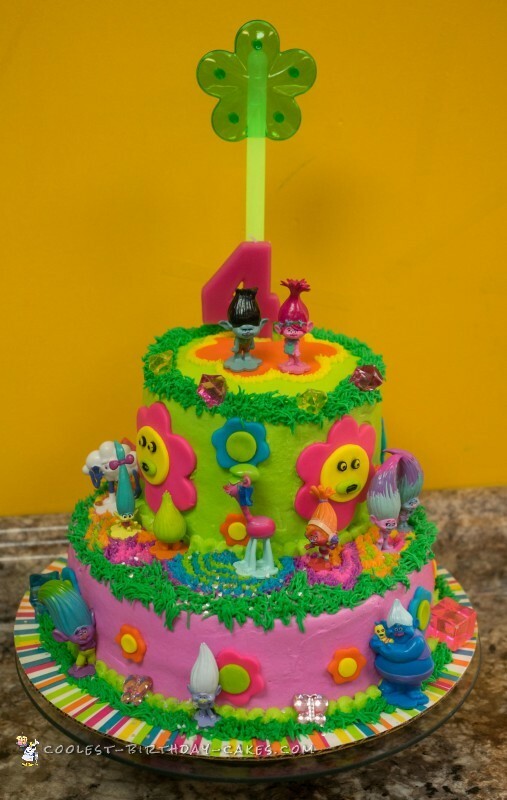 I wanted to incorporate several rainbow colored glow sticks, but only had room for the one main flower shaped glow stick on the top of the cake. It looked super cool in a darkened room but didn’t show up while lights were on. 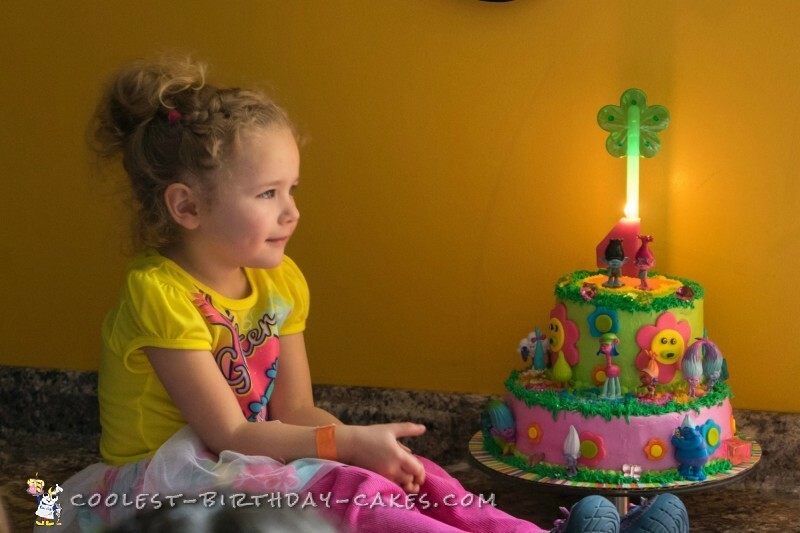 My niece really loved the cake! 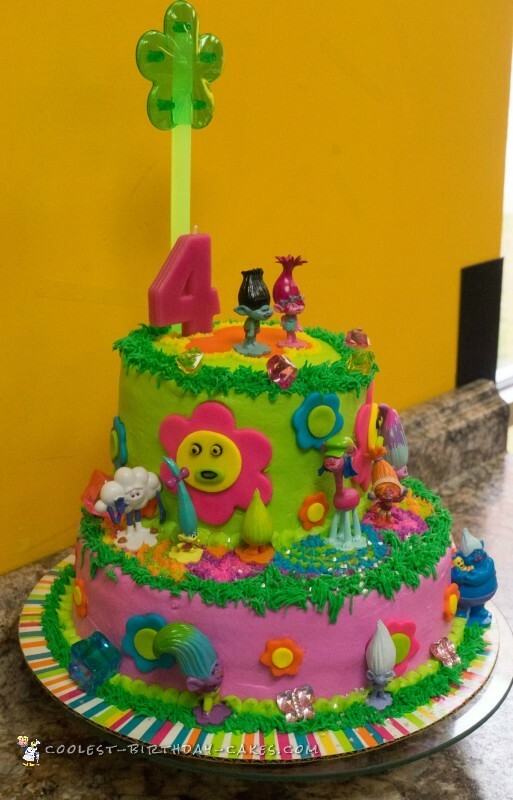 I got lots of compliments and requests for more cake making but…. I don’t want to do this for money. That would spoil the fun for me.